Litfuse Review: Dancing With Fireflies by:Denise Hunter | A Simple Life,really?! Denise Hunter is the bestselling author of The Convenient Groom and The Trouble with Cowboys. She has won The Holt Medallion Award, The Reader’s Choice Award, The Foreword Book of the Year Award, and is a RITA finalist. 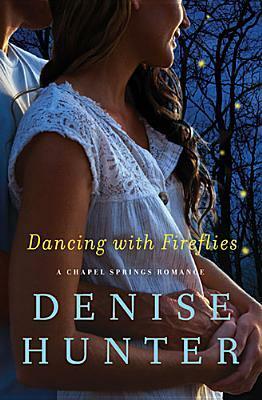 Denise Hunter has once again released a perfect performance in the writing of Dancing With Fireflies. As usual her characters and story line have won out and you will be captivated by Jade’s story. The beginning of the book finds us with Jade trying once again at a date that she relented to. A date with Nick is not really she feels she is even remotely ready for but she goes ahead, agreeing to one date. So after the disappointment & sheer sadness, Jade suffers in the previous book she returns home only to what seems like a do-over, again. Pregnant and alone Jade returns but not without keeping secrets. And if she ever felt further away from God, it is now. She hides the pregnancy as long as she can. During her ordeal she just kept wondering where God was. Such a sad and gripping novel, but definitely a page turner!